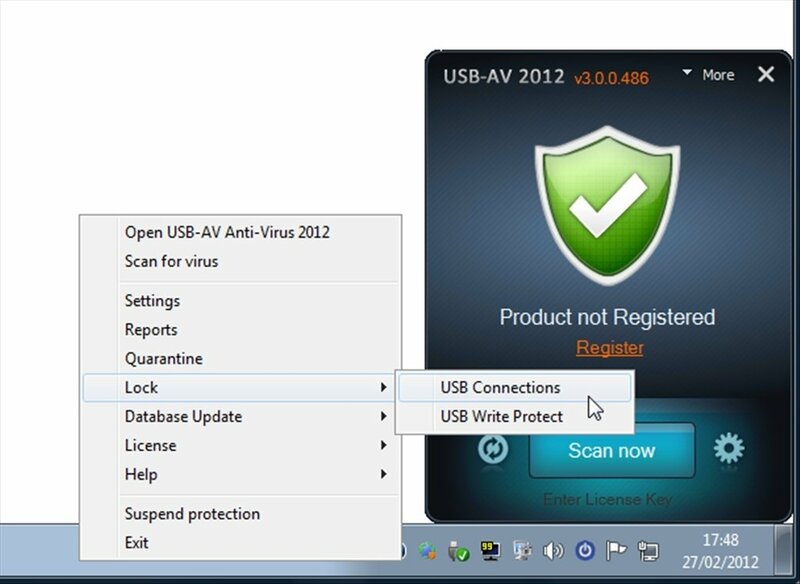 USB-AV Antivirus is an application that searches for viruses and dangerous software on any USB pendrive, to identify and eliminate them. You've surely suffered the bothersome infection of one of your pendrives with a virus on some occasion. These attacks are dangerous because they infect any computer that the pendrive is connected to. That is why it is necessary to analyze a pendrive before it's used. Perform different kinds of searches on a single file. Includes tools to recover damaged systems and to immunize USB devices. Allows you to block USB ports. By installing USB-AV Antivirus you won't have to worry about anything else. 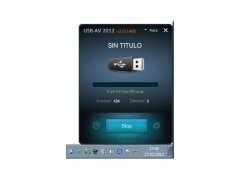 A small icon will appear in the toolbar and from there you'll be able to configure the application or analyze USB devices. The new free antivirus for USB units. Don't allow any virus to affect your USB memory units. Download USB-AV Antivirus for free and eliminate any possible damage.